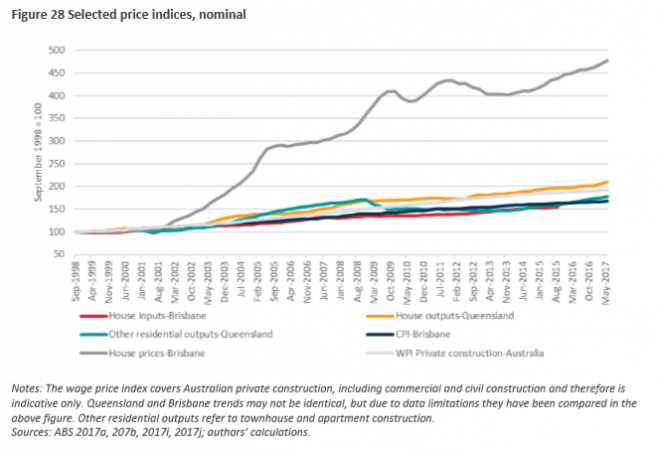 Brisbane house prices have increased around 300% in real terms since 1986 (a bigger increase in than the Australian capital city average of 262%), primarily driven by the cost of land rather than the quality of housing. 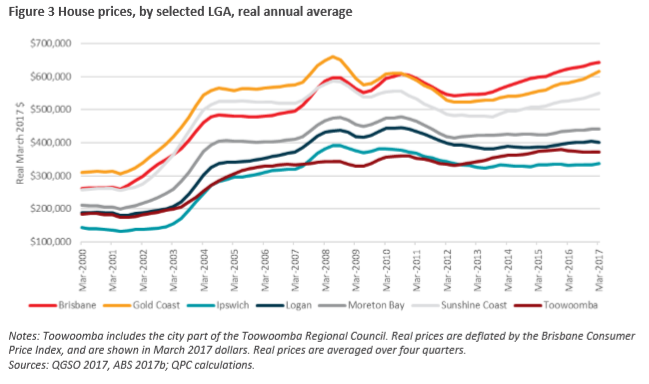 However, real prices have changed little since 2009, and, outside of south east Queensland, they have generally fallen. 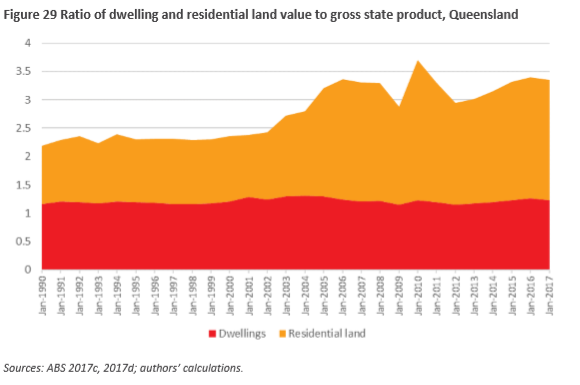 Housing affordability in Queensland: – measured as the ratio of income to house prices, deteriorated considerably from the 1980s, but has roughly stabilised since about 2010. 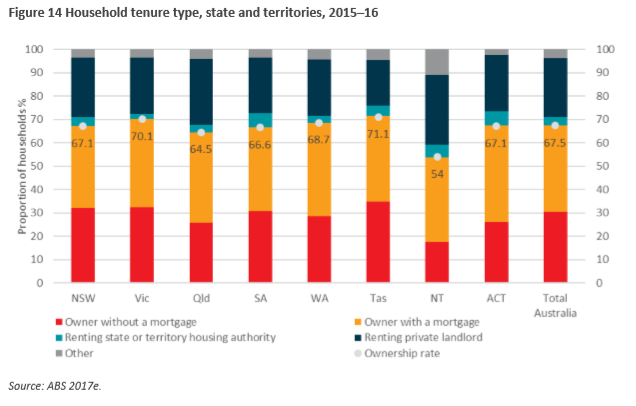 Measured as a proportion of income, has improved over the last five years for the median household, both in terms of rents and mortgage repayments. This is a bigger improvement than in Australia as a whole. 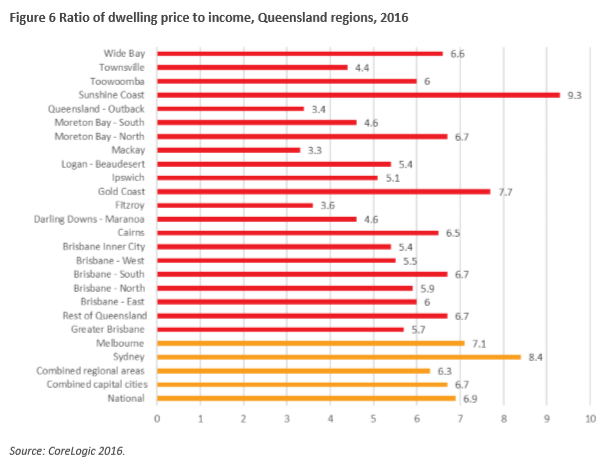 Compared to major international markets, housing affordability in Queensland’s urban markets remains poor. 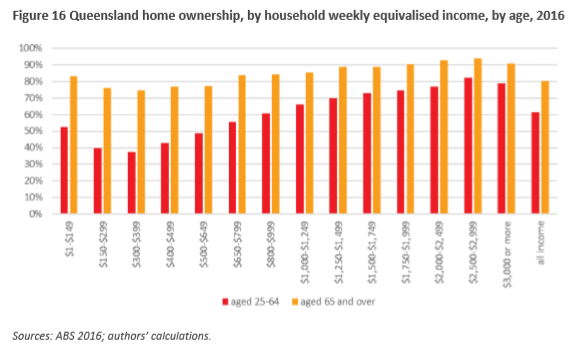 Housing affordability problems are most acute for younger people and lower income earners. 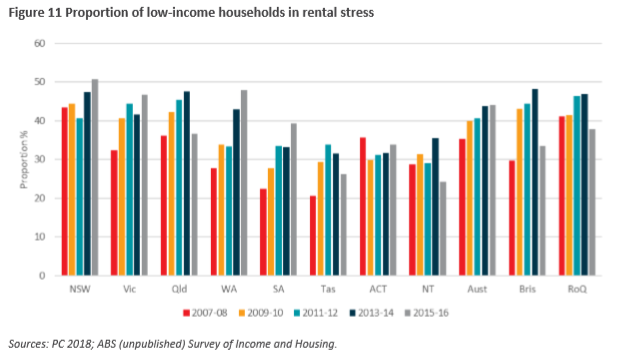 More than a third of low-income households (37%) are in rental stress. These households have the most to gain from improvements in the functioning of housing markets. 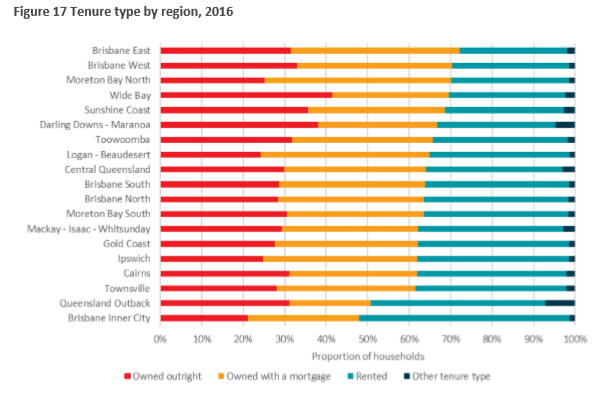 Most Queensland households (65%) own their home. However, this proportion is lower than in other states and has fallen more over the last 20 years. 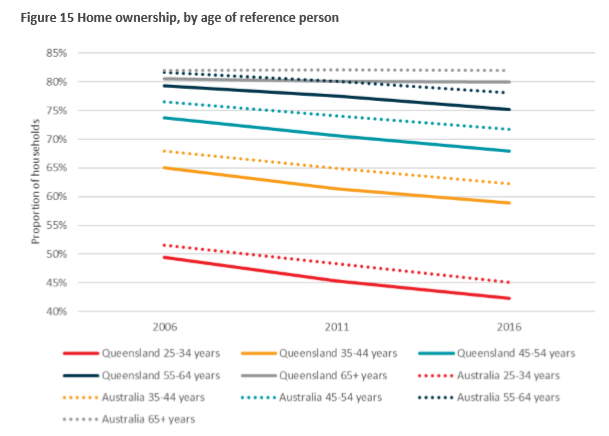 Home ownership is lower among younger and lower-income households, and is falling, but it remains unchanged for households over 65 years of age. 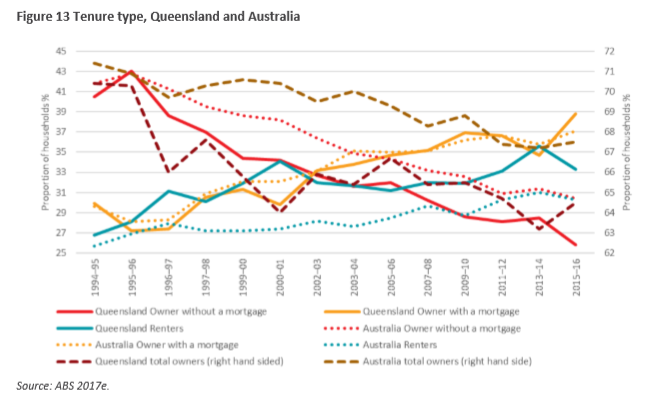 Queensland’s housing stock is dominated by houses (74 per cent) but this is slowly changing. 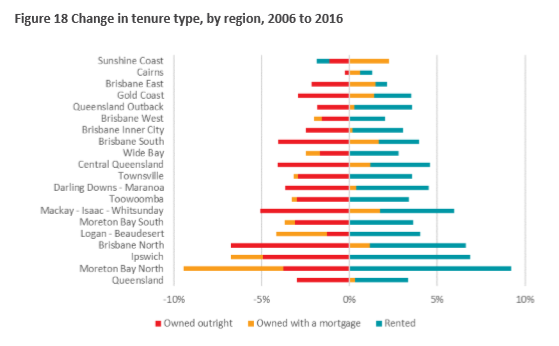 Younger people, families and couples are increasingly living in townhouses and apartments, while older households tend to stay in houses rather than downsizing. 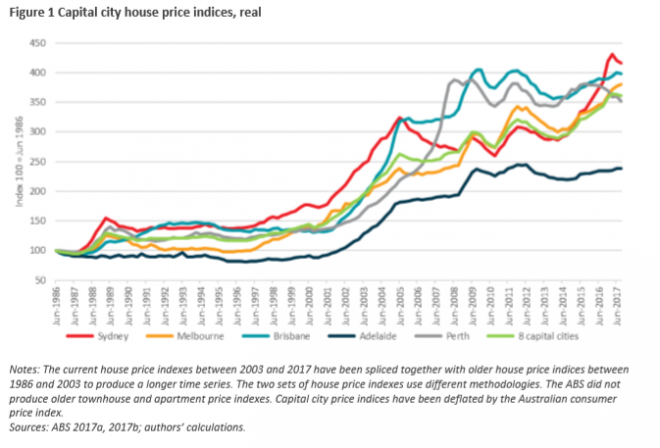 Governments significantly affect how housing markets operate and their outcomes. As housing markets are complex, no single measure will address housing affordability issues. Efforts are best focused on ensuring policies do not unduly affect housing supply and demand. Key policies include tax and planning. Australia’s population growth has been high in recent years compared with other developed nations, due to a high rate of immigration. This is borne out by net overseas migration over the last decade well above the historical average19 (PC 2016, pp. 339—340) and both the third highest proportion (27.7 per cent) of the population born overseas (OECD 2017, p. 37) and population growth rate (OECD 2018) of developed nations. Broad-based land taxes are, in principle, preferred to stamp duties because they do not have the same distorting effect on decisions. The amount of land tax paid does not depend on how often a person moves, and many would regard this as fairer. Taxes could be paid over a longer period (HoR 2016, p. 36)—reducing upfront costs and improving opportunities for first home buyers to enter the market. 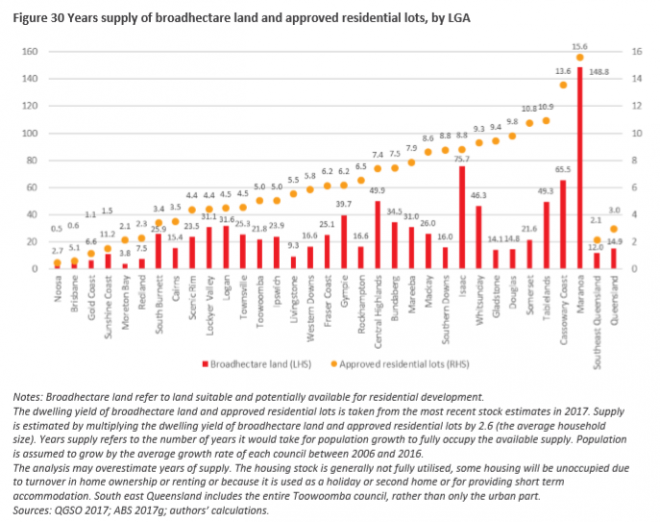 Stilwell (The Senate 2015, p. 80) argued that uniform land tax would drive out the speculative element of the market and bring land price inflation under control. Poghosyan (2016) found a statistically significant correlation between higher property taxes and lower housing price volatility. Finally, the Paper concludes by stating that “governments should concentrate their efforts on ensuring policies do not unduly inflate demand or constrain supply over time. Removing existing distortions may be more effective than additional responses”. force developers to supply housing for lower income earners via inclusionary zoning [boosts supply of affordable rentals].